Posted February 27th, 2015 at 11:26 am. When most archaeologists look at a map of the Middle East, they’re drawn to hot excavation spots such as Mesopotamia and Egypt. Not Bryn Mawr’s Peter Magee. The 47-year-old professor of Near Eastern archaeology prefers the Arabian Peninsula, an area that many scholars have ignored. Arabia, the argument has long gone, was nothing more than miles of “dreary desert,” as one academic put it in 1889. In other words, the region’s past seemed to offer little for scholarly exploration. It certainly didn’t have the complex social states of Mesopotamia or the hieroglyphs of Egypt. For nearly a quarter century, Magee has worked to bring understanding and attention to the Arabian Peninsula, a vast area that takes in Saudi Arabia, Yemen, Oman, the UAE, Bahrain, Qatar and Kuwait. 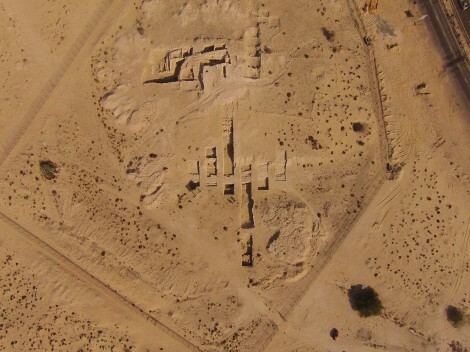 His groundbreaking research on the region’s unique irrigation systems and on the domestication of camels has added to the growing record that Arabia has a rich archaeological history. For the eighth year over winter break, Magee took Bryn Mawr students on a four-week field study to excavate at Tell Abraq about 20 miles outside Dubai in the United Arab Emirates. His ambitious recent (2014) book, The Archaeology of Prehistoric Arabia: Adaptation and Social Formation from the Neolithic to the Iron Age (Cambridge University Press), is fast becoming the definitive source on Arabia’s past. Currently on sabbatical, Magee is editing his next book, The Oxford Handbook of Ancient Arabia (Oxford University Press). “He is without question one of the leading scholars on the Iron Age of Eastern Arabia,” says D.T. Potts, a professor of ancient Near Eastern archaeology and history at the Institute for the Study of the Ancient World at New York University. A leader in the field himself, he was Magee’s doctoral thesis adviser and first exposed him to the UAE’s Tell Abraq and Muweilah digs in the early 1990s. Magee wants to break apart assumptions about the way of life in the ancient Near East. 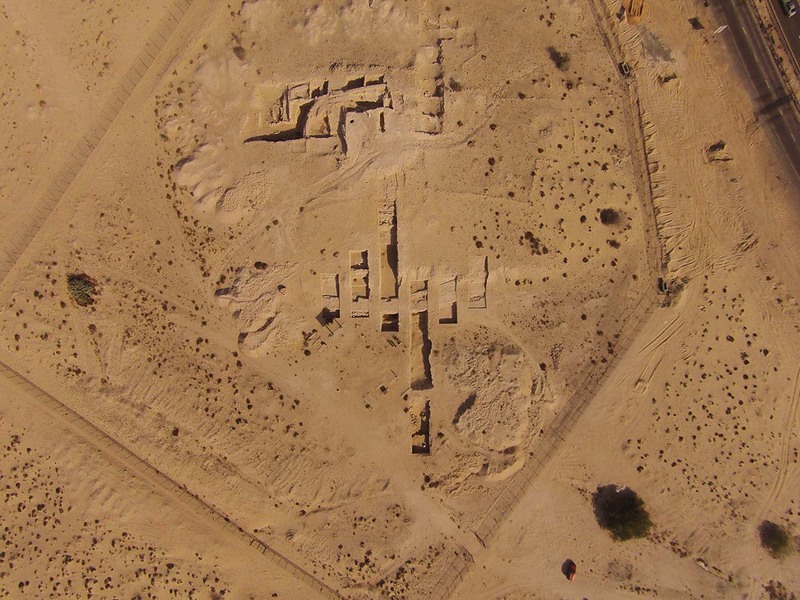 Major excavation sites point to a hierarchical state society in the wider region. Those models, though, don’t account for settlements such as Tell Abraq and Muweilah. These villages and towns, Magee posits, sought social cohesion and actively resisted the structured, hierarchical systems of their neighbors. Many scholars, though, have doubts or simply lack interest in an area without a complex state, Magee allows. At a major 2012 congress on the ancient Near East, only eight of 250 papers—just 3 percent—reported on the Arabian Peninsula. Clearly, progress toward shifting opinions is painstakingly slow, figuratively sand grain by sand grain. But this skeptic’s skeptic who is most intellectually invigorated when he’s challenging the mainstream also has an optimist’s bent. Magee, who teaches courses as varied as Introduction to Near Eastern Archaeology, The Archaeology of Middle Eastern Cuisine, and graduate seminars on archaeometric techniques, brings to his classroom his questioning mindset—and encourages the same in his students. Rather than use a single textbook, he has them read divergent viewpoints, discuss topics, and write a term paper. Fields was one of four undergraduate and two graduate students on the Tell Abraq field study. The experience, she says, both opened her eyes to the hard work of archaeologists and affirmed her choice of major. The professor was particularly excited about those camel pieces. In 1994, at the Muweilah dig, Magee himself unearthed a terracotta camel with a saddle. To this day, it is considered the most complete such figurine—and, he says, it is arguably the best-dated representation of a domesticated dromedary in the world. The Sharjah Archaeological Museum in Dubai uses a depiction of that camel on its front gates. Currently, Magee is collaborating on DNA work on camel bones to more definitively determine whether dromedaries were domesticated in the area (as his earlier work has suggested) or introduced from elsewhere. “It’s turning up some tantalizing evidence,” he says, unable to reveal more until the publication of the results. But needless to say, the very question itself challenges the norms.